This document remains the property of Immigration, Refugees and Citizenship Canada. 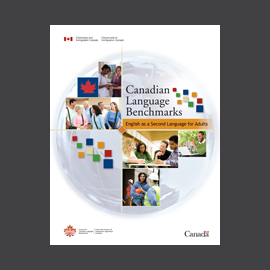 The Canadian Language Benchmarks (CLB) standard is a descriptive scale of language ability in English as a Second Language (ESL) written as 12 benchmarks or reference points along a continuum from basic to advanced. 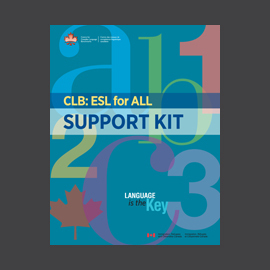 The CLB standard reflects the progression of the knowledge and skills that underlie basic, intermediate and advanced ability among adult ESL learners. a set of descriptive statements about successive levels on the continuum of language ability. a description of communicative competencies and performance tasks through which learners demonstrate application of language knowledge (i.e., competence) and skill (i.e., ability). 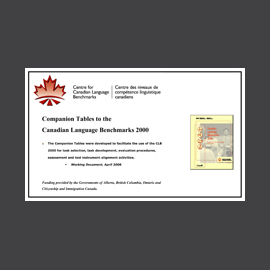 a national standard for planning curricula for language instruction in a variety of contexts. 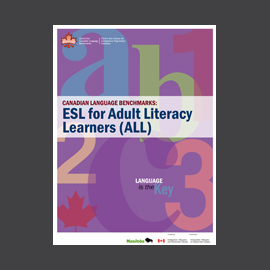 a framework of reference for learning, teaching, programming and assessing adult ESL in Canada.